Only one with a 3. 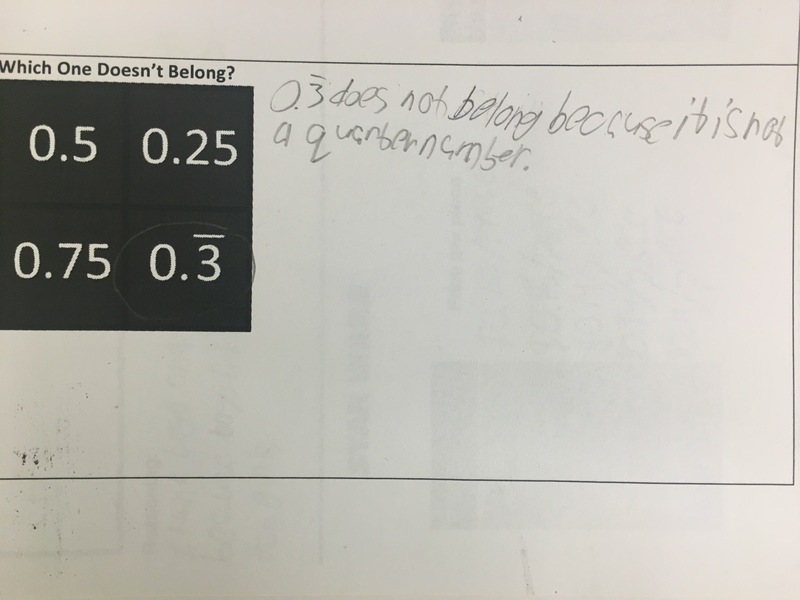 This student was seeing money….each of the other 3 were values associated with quarters!! Nice. I asked them to turn to their partners and come up with reasons why each of the others might not fit. I find that this group will not volunteer yet to say something out loud very often…..but if I ask them to tell their partner first, they will……then it’s like the flood gates open and they feel more confident to speak in front of the group. We grabbed our whiteboards and I asked them to think of a hourly rate of pay that they would be happy with. I asked them to determine their annual pay. 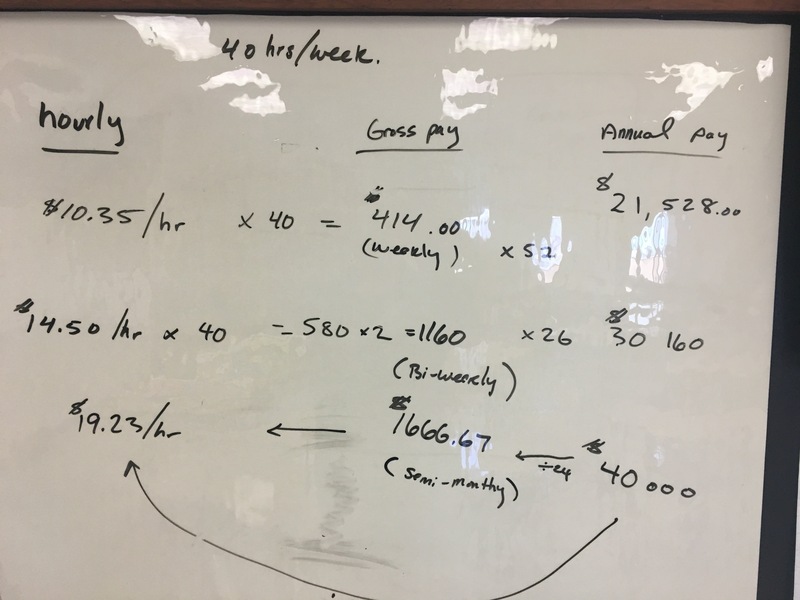 I flashed on the screen one of the pay schedules …..then asked them to determine their gross pay per period. We repeated this with different pay schedules and hourly rates. We then switched gears and started with annual earnings….and determined gross pay for a paycheque…..then hourly rate! 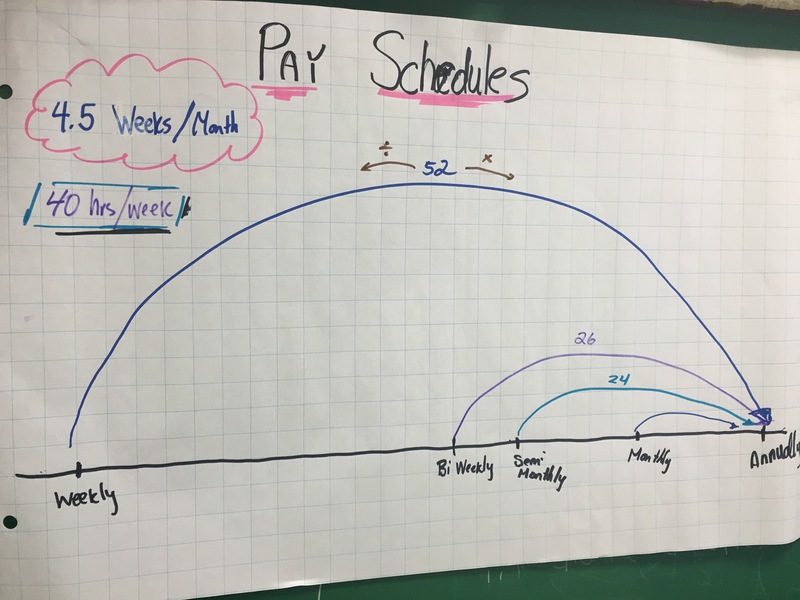 I drew this image on chart paper to help with seeing the relationship between pay schedules (I need some more artistic talent).  We jumped back to the activity from yesterday….and kept working on it. For those students that finished I handed out this practice sheet Mishaal Surti shared with me. There were some students that still had confusions on finding rates, gross pay, and annual earnings but the beauty of spiralling allows me to save that knowledge and use it to inform my next move…and use it later in the course. We’ll come back to this task again next cycle when we discuss net pay, deductions, etc. 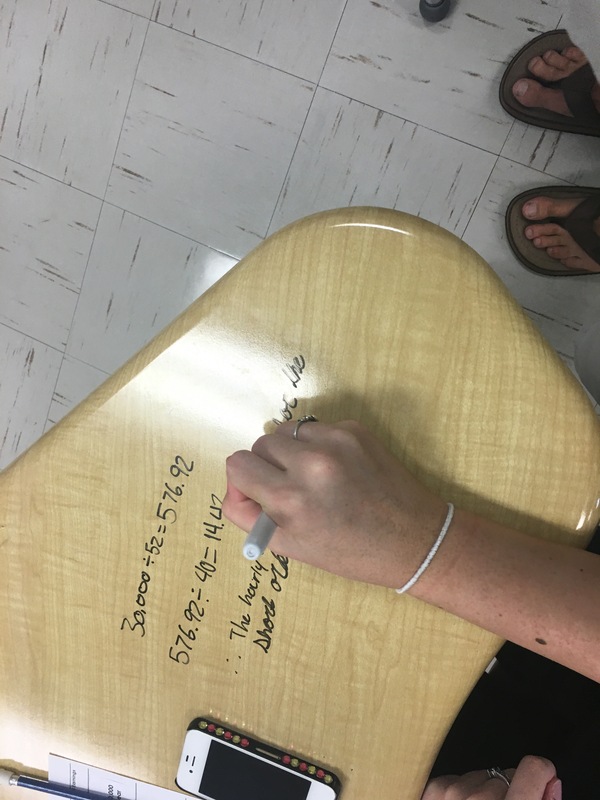 Next day…..We’re going to do some basic percent work.